“Dr. 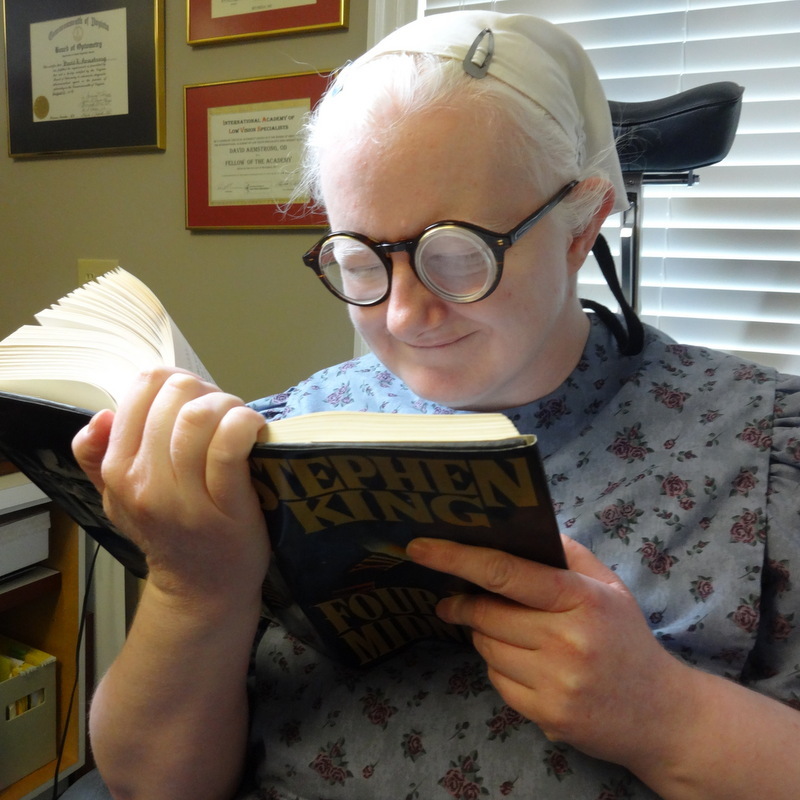 Armstrong has dedicated his low vision practice to helping people with visual impairments maintain their independence.”! People who have lost vision from macular degeneration or other eye diseases are often told that nothing will help them. It is true that there is no cure for these conditions. There are many ways, however, to improve the remaining vision and help the person continue enjoying a full, active, independent life. For many years I have helped people with impaired vision keep reading, continue driving, use a computer, recognize people's faces, enjoy hobbies and crafts and other activities that are important to them. I have made a commitment to helping my patients see the best that they are capable of. I understand how macular degeneration and other conditions effect a person's vision and how vision loss can take away someone's independence. The resulting isolation can be devastating. There are many ways available that I help my patients. By careful evaluation of the remaining vision and by considering their goals I prescribe special glasses or other devices that help them to see better and live a more normal life. I am passionate about helping people with low vision. That is all that I do in my practice. I'd like to help you. Call me for a complimentary telephone consultation. I will explain the low vision evaluation, discuss fees and answer your questions. Help is available. Call me at 1 866 321-2030. I'll tell you if I can help you see better and enjoy life more. Roanoke Times article explains how low vision glasses change lives.